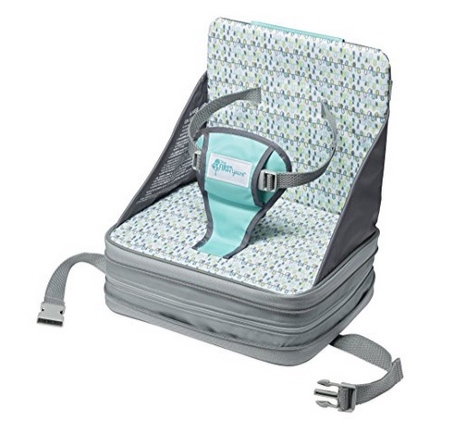 Right now Amazon Prime Members can get this The First Years On-The-Go Booster Seat for ONLY $11.75 (Retail $20.99)! We all know that moms are magicians…and now you can prove it! Our On-The-Go Booster Seat seems to appear and disappear like magic. Pull out the valve and it self-inflates into a sturdy and comfortable full-size booster seat. Then press out the air and fold down the back once mealtime is over. With a self-carry handle, it's compact, lightweight, and has an adjustable safety belt with T-restraint to help hold your child securely. This is definitely one for your mommy bag of tricks!